Are people going to thrash my car? It's a common misconception that people will 'thrash' a borrowed car, as if it were a rental. In fact, Borrowers are extra careful, because they know that they're driving a real person's car. Vehicles are also fitted with a device that monitors the driving behaviour of your Borrowers, including excessive speed, acceleration or harsh braking. Interested in renting out your car? Get your car earning money for you now! 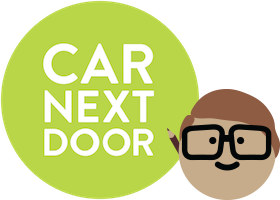 How does Car Next Door screen borrowers? Can I say that only drivers over a certain age can use my car? How do you protect my car against theft? Can car owners see where their car is travelling using the GPS tracking? Do I need to see the borrower's licence before letting them take my car?